Hen party in Ireland! Will you decide to have a Dublin hen party or Belfast hen night? Perhaps you will travel to a popular hen party location like Carlingford, Carrick-on-Shannon or Galway City! Dublin is the capital of Ireland and has everything a hen weekend needs for that memorable weekend. Experience the big city of Dublin for your hen party location and choose from over 600 bars and nightlife venues throughout. Hen party activities are available from hen party cocktail workshop, afternoon tea for a hen do in a luxurious hotel or clay pigeon shooting for the wild and adventurous hen party girls. Galway is Ireland's number one location for a hen weekend. Full of it's Irish culture it's no wonder it's called Ireland's Cultural Heart. From cocktail mixing to pampering days, hen parties that love everything about Ireland from the food to Irish folk music should choose Galway for their hen party weekend. Belfast A captivating city and the capital, Belfast can be the perfect location for your hen party! Known for it's vibrance and entertainment, a hen weekend in Belfast can be filled with various fun hen party activities. 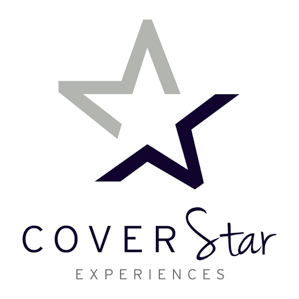 Experience hen party dancing, spa treatments and sessions with a fashion consultant! Show your wild side and enjoy outdoor activities such as paintballing, zorbing or go karting. Carrick on Shannon is built along the River Shannon, Carrick on Shannon is among the top hen party destination in Ireland. Hen parties come here not only because of it's lakes, but the nightlife it has to offer. As well as having a lot of possible venues for your hen night, this small town also has a variety of outdoor facilities like hill walking, swimming, water sports and the all important booze cruise belle! The perfect daytime activity for any hen weekend! Kilkenny is home to Kilkenny Irish Cream Ale! Kilkenny has everything you would need to have an unforgettable hen party. Kilkenny is a hen party location for girls that appreciates fine Irish brew and the city's medieval beauty. Indulge in Kilkenny's hen day activities, accommodation and trendy nightlife venues!